Nanimarquina is a brand specialized in the production of handmade rugs, founded in 1987 in a bid to create tapestries with extremely creative backgrounds. 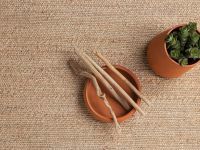 Founded by the parent company "Nani", the brand is characterized by a very clear objective: to design unique and always innovative handmade rugs for people to enjoy. This is why the design aims to blend contemporary design with traditional carpet styles. 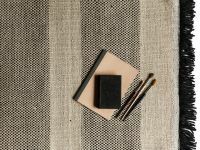 A family-run business, Nanimarquina can be considered one of the pioneers in the field of contemporary carpet design, as its strong commitment to innovation ensures that most of its resources are spent on a continuous quest for novelties, crafting techniques and new materials. Its mission is to convey the essence of the company philosophy, highlighting its values, centering on the production of high quality carpets halfway between contemporary and classic. The company relies on collaborations with national and international designers ensuring an exciting variety of themes and experimentation with a wide range of weaving techniques, materials and shapes. 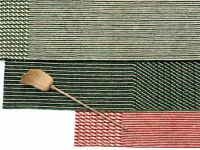 The result is a unique rug collection, capable of satisfying all sorts of customers with their own very personal styles and tastes. 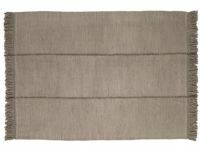 One might say that Amini provides rugs "for all kinds of interiors and emotions". Find out more about Nanimarquina products: furnishings. Discover our special offers! We offer worldwide delivery of Nanimarquina furniture (European Union, Switzerland, United States, Russia, Turkey, Middle East, China, Taiwan, Hong Kong, Singapore, South Korea, Brazil, etc.) with a guaranteed shipping service. With over forty years' experience in dealing with international clients we are your ideal partner for supplying Nanimarquina furniture as well as for developing a comprehensive home decor project.